Synthetic polymers which can adsorb bisphenol A (BPA) and related compounds were prepared by a covalent molecular imprinting technique. BPA dimethacrylate, used as template molecule, was polymerized with a crosslinker, triethylene glycol dimethacrylate (TEGDMA) or trimethylol propane trimethacrylate (TRIM). After the polymerization treatment with dilute NaOH was used to cleave BPA from the polymers. 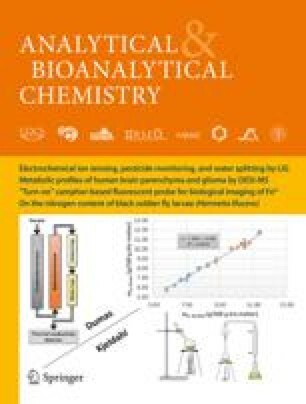 For high recovery of BPA with low polymer matrix degradation, the hydrolysis conditions were determined to be treatment with 1.0 mol L−1 NaOH for 48 h. The binding sites generated by the hydrolysis were evaluated by determination of the retentivity of BPA, BPA analogues, and other endocrine disruptors. The polymers strongly adsorbed compounds with two hydroxyl groups at the 4,4′-positions. Generally the TEGDMA-based polymers had stronger affinity than the TRIM-based polymers, although the TRIM-based polymer adsorbed steroidal hormones with two hydroxyl groups, for example 17α-estradiol and 17β-estradiol, more strongly than the TEGDMA-based polymer, meaning that the crosslinkers affected the properties of the binding sites and, depending upon the target molecules, suitable crosslinkers should be chosen in this system. This work has supported by Japan Society for the promotion of Science and Ministry of Education, Culture, Sports, Science and Technology (Grants-in-Aid for Scientific Research).